The Gorillabox is the latest design in hydroponics Acoustic Fans. The new design has taken the best features from fans already on the market, modified and built to create the ultimate in Acoustic fans. The GORILLA acoustic box fan is one of the queitest and most compact on the market. It contains a high quality Torin Safin squirrel cage fan lined with 12mm soundproof acoustic foam. The internal motor is mounted within the Fan and is attached to the casing with lock/tight antivibration nuts. 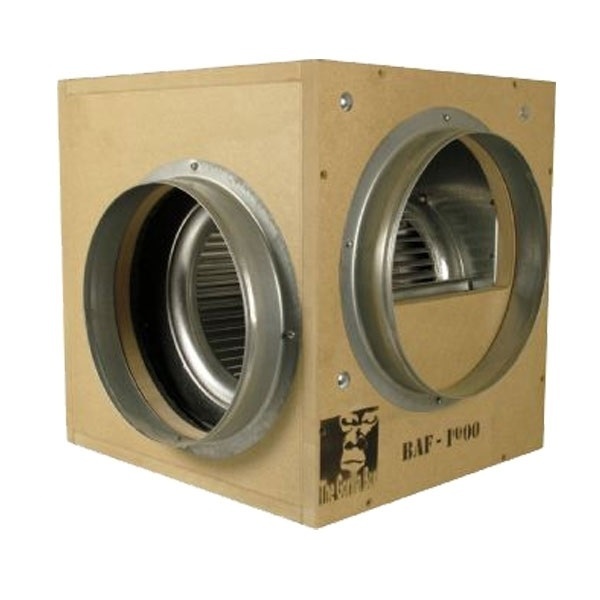 Housing the fan in an 18mm MDF box means it is cheaper than its metal counterpart and the superior construction makes it air tight and quiet running for the amount of air moved.